The second I first learned about The Ropes Maine, the anchor in my heart doubled in size and almost exploded, kind of like the Grinch's heart in, you know, that Christmas movie. It was love! 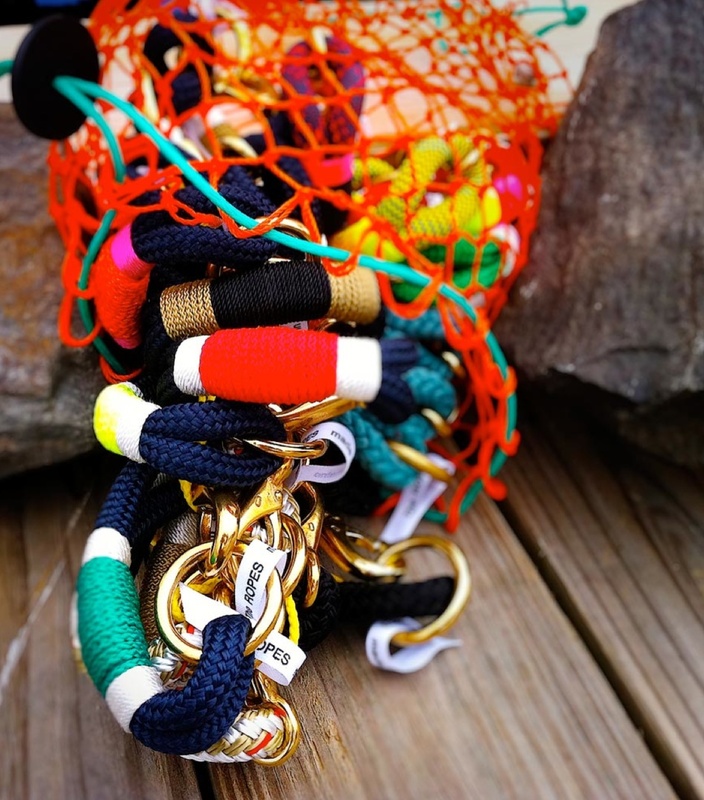 The Ropes was founded by designer Shana Aldrich Ready, a Maine native, who uses Maine ropes and hardware to construct her bracelets. They're so sturdy and well-made, and come in so many colors that stopping at one seems impossible. The Ropes recently partnered with Baublebar to create a few exclusive designs, and I was able to get my hands on one before they started selling out (I think there are only a few styles left). This one was my favorite because 1) stripes 2) stripes (deserves repeating) and 3) neon! It makes for the perfect summer accessory, and will be even more appropriate during our Maine trip this August. Not to mention, a little Lake Erie summer boating..! 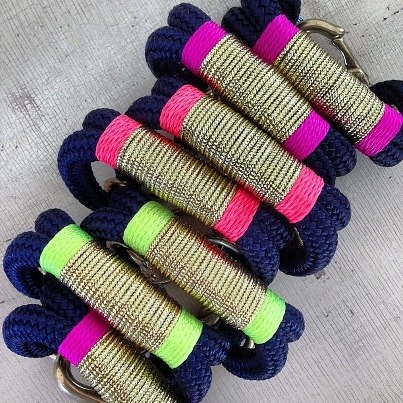 You can find The Ropes online, or check out their vendor list to see if they are carried at a store near you.